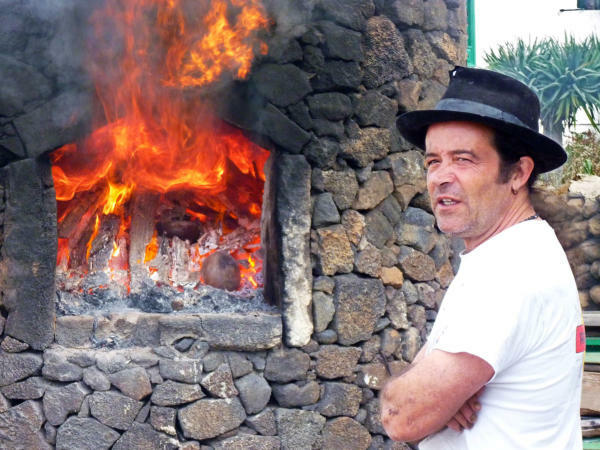 Visit to Aquilino Rodríguez Santana´s ceramic studio – Friday 7th March at 4:00 p.m.
Home | [:es]Noticias[:en]News[:de]Nachrichten[:fr]News[:] | Visit to Aquilino Rodríguez Santana´s ceramic studio – Friday 7th March at 4:00 p.m.
At his workshop in Haría, Lanzarote. 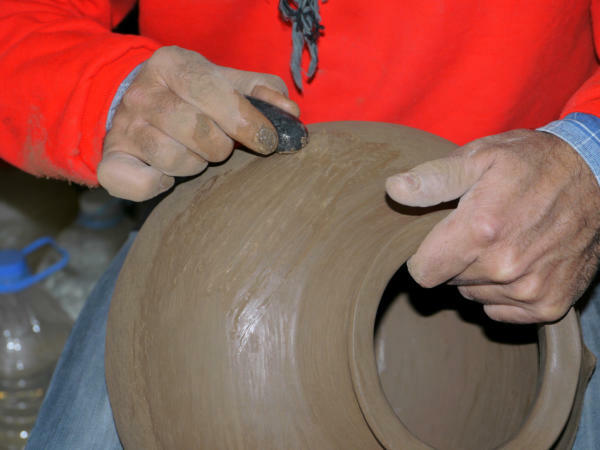 Aquilino is heir of a potter technology from the X century B.C. The texture and several kinds of volcanic earth from Lanzarote are sourced by the artist himself, and are mixed by hand, and also using some simple tools (without potter disc). This is a very labour-intensive process. The mixture is kneaded over and over again, divided, again kneaded etc… Then it is formed and smoothed. 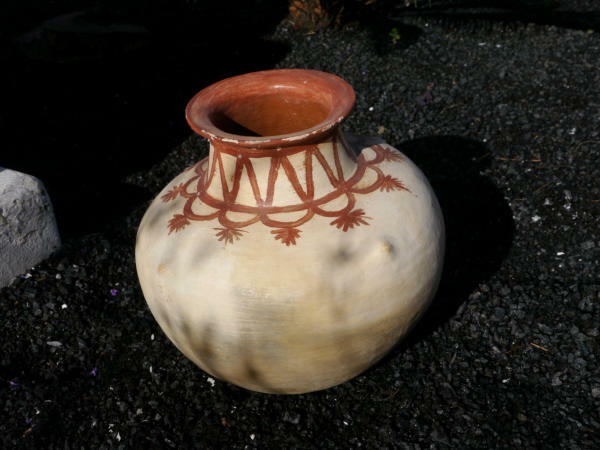 When the ceramic has dried, it is fired for two to three days in the stove, with wood as the fuel for the fire. The results are individual artistic pieces unique to this process. Elvia Zaldivar	2016-08-10T11:36:09+00:00	07/02/2014|[:es]Noticias[:en]News[:de]Nachrichten[:fr]News[:]|Comments Off on Visit to Aquilino Rodríguez Santana´s ceramic studio – Friday 7th March at 4:00 p.m.